Two posts in one day?! Weird, but I didn’t think they made sense together. I am also linked this week (cake pops) to ShabbyNest. If you want to be totally amazed and a little daunted check-out all the talent there. I am inspired every week. Apparently the husband, in his waning years now, is thinking about our courtship this week when he is making his dinner choices. Last week he discussed a dish that I made our first year of dating but haven’t made since (again-I have no idea why). I didn’t even remember the dish until he brought it up recently. 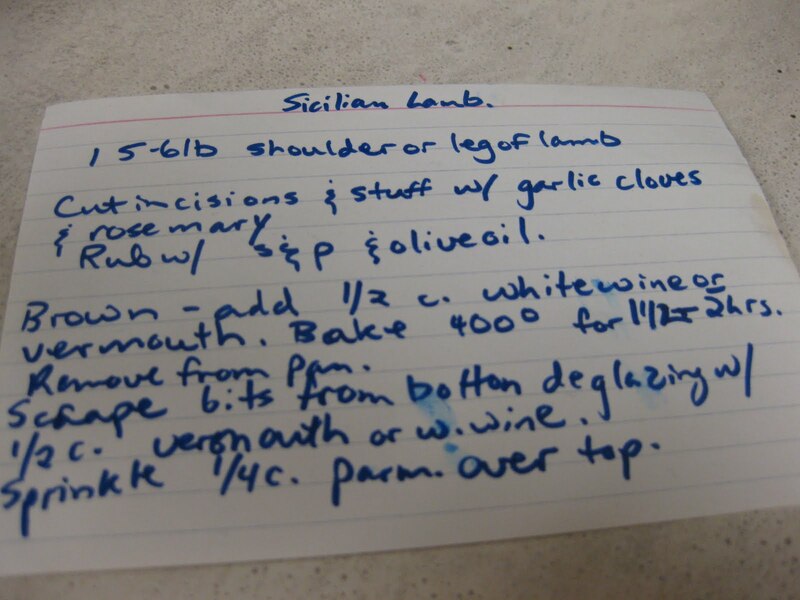 It’s called Sicilian lamb (I don’t why AND even worse I have no idea where I got it-it’s on another crappy looking recipe card. Written in marker in my lovely handwriting (insert sarcastic tone). I made this for my 30th. birthday and a bunch of friends from highschool came to Ottawa to lament our long-lost youth. After we had a few beverages we once again became VERY hungry and invented (or thought we did) lambwiches. I have to admit that by using a better camera the photo makes it so that I don’t even need to rewrite the recipe. Yay! We’ll have this for lunch on Friday. 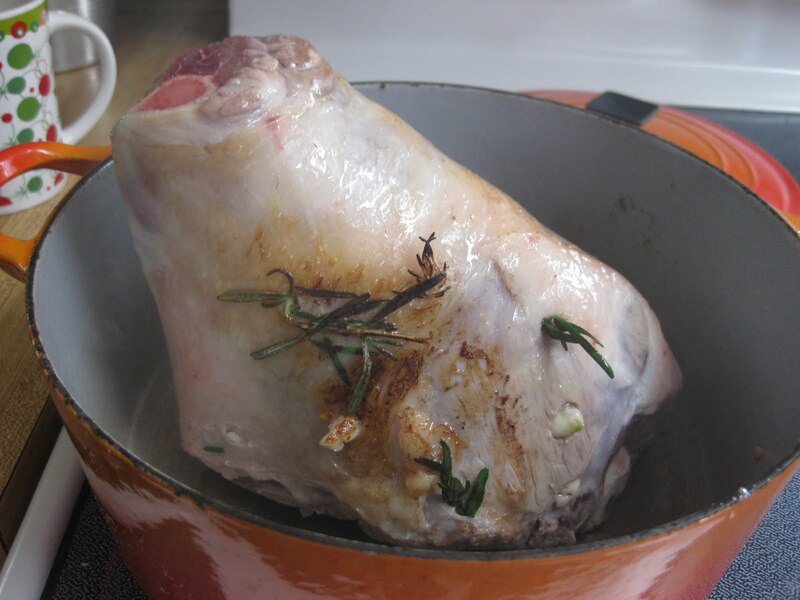 As we are a blended family there are going to be a number of Easters this weekend and a bit of lamb will change it up from the turkey and ham that is also on the menu. Perhaps we’ll all have a side order of gout at the end (smirk). Happy Earth day to everyone by-the-way. What will you do for Earth Day? We’ve been trying to incorporate as many friendly things into our lives the last few years so I am slightly stumped as to what to do next. 1) Use the car as little as possible and make one trip “do” for a lot of things. 2) Grow as much as we can in the garden and avoid andy chemicals. 3) Keep all machinery tuned-up and using as little energy/fuel as possible. I think the thing that I would like to consider is something that I read about a week ago, putting motion activated lights into most rooms. Some people in the house (cough…husband) don’t really turn off lights when they leave a space. As other people in the house become more autonomous (baby) I don’t think that I will be able to keep up with the lights being left on throughout the house.